I love scuba diving. I really, really love scuba diving. If I didn't have to breathe air, I would never come up from under the water. It feels like my place under there. And I'm not picky at all, loving every underwater experience I've had, well, aside from the busting my eardrum one. So when I saw that this book was available, I jumped at it. National Geographic produces gorgeous books and 100 Dives of a Lifetime is no exception. My first thought as I read through this book was, absolutely! Sign me up for every one of these dives. And I meant it, at least until they got to the Cooper River dive that has no visibility and the possibility of alligators. Yikes! On further reflection, I'd probably also skip the dives that require extra weights to get to the bottom fast because of the sheer number of sharks (and I'd only skip those because of my ear pressure equalization problems, not because of the sharks). And I don't know that I'd be all that jazzed to dive in a flooded missile silo. But the rest? Yes, please. Take me there (after I get a few advanced certifications)! The book is divided into sections based on the difficulty of the dives. There are beginner, intermediate, and advanced dives as well as all skills locations and valuable information in the back of the book not only on scuba resources but on the importance of divers taking the lead in ocean conservation as well. 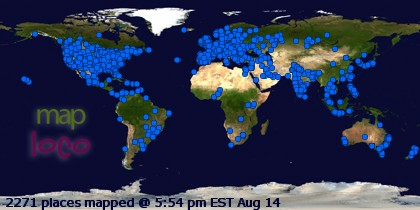 Each of the 100 dive locations listed here is described briefly. All entries have a helpful list of the wildlife divers can expect to see at each location and the statistics on the water (average temperature, visibility, etc.). Many of them also have helpful travel tips and share when during the year the diving is best at each spot or when specific species are in the area. The photographs accompanying the text are stunning, as you'd expect of National Geographic. They range from gorgeous ocean life to aerial shots of the islands and reefs. 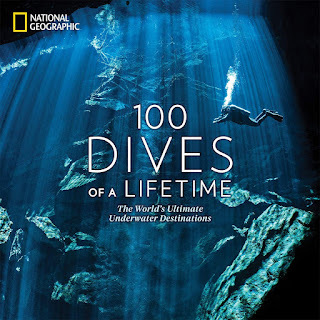 If you are a diver, this book will add to the list of places you want to explore for sure. My husband and my bank account may not be pleased I have this to consult and to dream over but I am glad I can revisit the pages, at least until I can dive the actual sites. For more information about the book, check out the book's Goodreads page, follow the rest of the blog tour, or look at the reviews for others' thoughts and opinions on the book. Thanks to Trish from TLC Book Tours and National Geographic for sending me a copy of the book for review. This meme was hosted by Breaking the Spine and is meant to highlight some great pre-publication books we all can't wait to get our grubby little mitts on. I'm choosing to continue the tradition even though she has stopped. 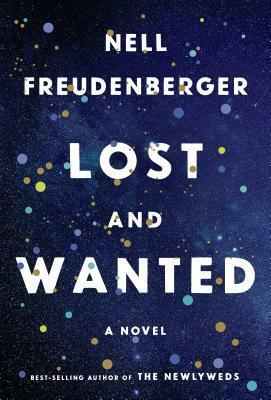 Lost and Wanted by Nell Freudenberger. 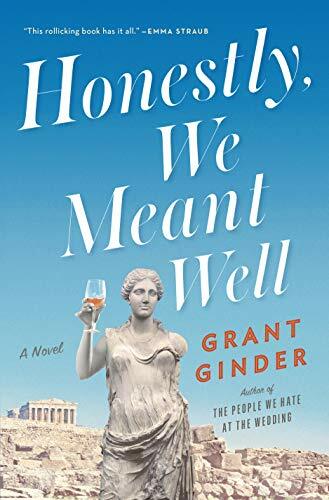 The book is being released by Knopf on April 2, 2019. The book's jacket copy says: An emotionally engaging, suspenseful new novel from the best-selling author, told in the voice of a renowned physicist: an exploration of female friendship, romantic love, and parenthood--bonds that show their power in surprising ways. Helen Clapp's breakthrough work on five-dimensional spacetime landed her a tenured professorship at MIT; her popular books explain physics in plain terms. Helen disdains notions of the supernatural in favor of rational thought and proven ideas. So it's perhaps especially vexing for her when, on an otherwise unremarkable Wednesday in June, she gets a phone call from a friend who has just died. That friend was Charlotte Boyce, Helen's roommate at Harvard. The two women had once confided in each other about everything--in college, the unwanted advances Charlie received from a star literature professor; after graduation, Helen's struggles as a young woman in science, Charlie's as a black screenwriter in Hollywood, their shared challenges as parents. But as the years passed, Charlie became more elusive, and her calls came less and less often. And now she's permanently, tragically gone. As Helen is drawn back into Charlie's orbit, and also into the web of feelings she once had for Neel Jonnal--a former college classmate now an acclaimed physicist on the verge of a Nobel Prizewinning discovery--she is forced to question the laws of the universe that had always steadied her mind and heart. Suspenseful, perceptive, deeply affecting, Lost and Wanted is a story of friends and lovers, lost and found, at the most defining moments of their lives. There are events in life that shape people, forge them, become an integral piece of who they are. Sometimes these events are seemingly insignificant and other times they are clearly big, life-changing occasions. 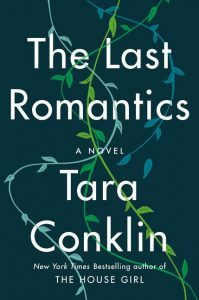 In Tara Conklin's newest novel, The Last Romantics, two of these huge, defining events happen back to back, leading inexorably toward an outcome and an ending that feels fated, determined by the past and written from the beginning. Ellis Skinner was 34 when he died suddenly, leaving behind 4 children, ranging in age from 11 to 4, and a wife who had no idea of the dismal state of their finances until her dentist husband is gone. Mother Noni falls into an all consuming depression that lasts for years and that the children call The Pause, during which they must fend for themselves, running a little feral and solidifying each of them into the person she and he will grow to be as adults. Renee is the oldest, driven to take on the responsibility of her younger siblings, taking care of others before herself. Eight year old Caroline is the worrier, leaning into family, although not to her own family but to the Duffy crew the Skinner kids meet that first summer. Seven year old Joe is the golden child, beloved by everyone but whose troubles are either hidden, ignored, or explained away, leaving him searching for what he's missing, first through baseball and then through alcohol. And four year old Fiona, the baby of the family is the observer, coming to hold the family story close and finally to record it through her poetry, to give it voice. The children persevere and survive and eventually Noni comes out of her crushing depression but the siblings always wonder about her emotional resiliency and protect her from any unpleasantness until there is no way to protect her or their own hearts. The story is framed, and occasionally interrupted, by celebrated poet Fiona Skinner at a reading in 2079, answering audience questions, one of which leads her to tell her family's story, continuing on even during a power outage that seems to stretch on and become slightly sinister. Fiona, now 102 years old and quite famous, narrates the majority of the story in the first person, slowly revealing long held secrets and highlighting the enduring bond that grew between the four Skinner siblings in the aftermath of their father's death and their mother's retreat. The narration occasionally shifts to third person when Conklin wants to show the reader a closer look at what is going on with the other three siblings that Fiona could not have known. The shifts are smooth but sometimes they are so subtle, it takes the reader a minute to adjust to the fact that the focus has changed. The sibling relationships are the anchor of this novel. They are messy and sometimes frayed, but the strength of the Skinners' history with each other keeps them forever tethered no matter how far they may roam. The conceit of the future setting seems unnecessary as there are only small hints of the reality of life in 2079; the real story is that of Fiona's childhood into adulthood, perhaps even as far as middle age. The beginning is a little slow but the occasional allusions to further tragedy will keep the reader engaged in the story and invested in these flawed but oh so real feeling siblings. The end comes quickly, even as events come fast and furious, each sibling's life wrapped up in just a few sentences once Fiona has revealed what she has lived with for so long. Each character is scarred, perhaps not visibly like two of the minor characters, but marked nonetheless, forever carrying proof of the pain they endured but eventually allowing it to heal and be relegated to the past. This is a sensitive, well-written look at love, responsibility, addiction, mental health, and grief in a family fractured and mended over and over again and fans of sibling books and of families struggling but ultimately uniting will enjoy this for sure. For more information about Tara Conklin and the book, check out the author's website, like hr on Facebook or follow her on Twitter or Instagram. Check out the book's Goodreads page, follow the rest of the blog tour, or look at the reviews for others' thoughts and opinions on the book. Thanks to Trish from TLC Book Tours and Harper Collins for sending me a copy of the book for review. 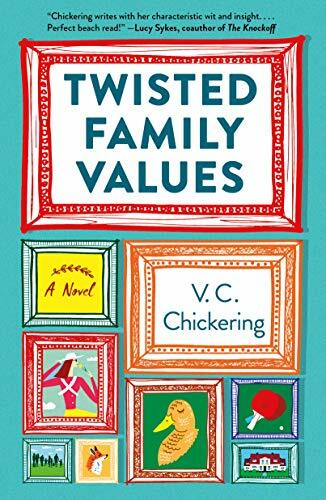 Twisted Family Values by V. C. Chickering came from St. Martin's Griffin. I do love a good dysfunctional family novel, especially one set in a privileged family so this one should be interesting to say the least. If you want to see the marvelous goodies in other people's mailboxes, make sure to visit Mailbox Monday and have fun seeing how we are all doing our part to keep the USPS and delivery services viable. If you were marooned on a small island, what would you want to have with you? I've come up with the only food I would require, the five books I'd take with me, and so on. And hopefully I'll never be marooned with or without these things. But there's something a little romantic about daydreaming about no longer being tied to all our (unnecessary) material possessions and to the always-on digital world we live in these days, right? It might be thoughts like this that inspires some people to sign up to volunteer for organizations like the Peace Corps or WorldTeach but as Peter Rudiak-Gould makes clear in his book Surviving Paradise: One Year on a Disappearing Island, the reality is far more complicated than it seems, especially if you are marooned inside a whole different culture. Rudiak-Gould signed up with WorldTeach after he graduated from college and asked to be assigned to a truly remote place. He got his wish. Not only are the Marshall Islands remote as a whole, but he was sent to tiny Ujae (1/3 square mile), one of the most remote of the islands in the island chain. He faced culture shock on a grand scale. There to teach English, very few, if any of his students or their families placed much import on education. And he didn't walk into the expected traditional culture but into an uneasy amalgam of the traditional and modern imported American culture. But this is not just a memoir of his experiences living so remotely, it is an examination of his own cultural biases, sometimes embracing them, sometimes pushing against them, but always accepting them and yearning to get back to the familiar. The personal anecdotes of this memoir and anthropological tale were more interesting than the generalizations, which inclined to more descriptive than active. There's actually quite little about his experience in the classroom and teaching here, as if that was of little importance in his year--and maybe it was given the islanders' attitudes toward school but it seems odd in a memoir of his time teaching on the island. It is clear how much Rudiak-Gould comes to care for some of the people he meets even if he never quite comes to grips with certain aspects of their culture. In fact, learning such a different culture from his own makes him reflect all the more on how much he himself is a product of American culture. Interspersed with his own experiences are musings on the phrasings and the language of the islands, the curious customs, and the structure of the society, of which the foreign teacher will never truly be a part. 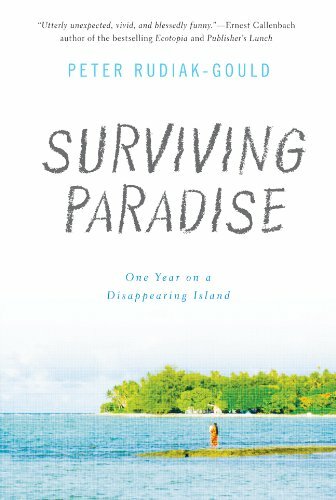 He tells his tale with humor and frustration and finishes up with a look at the very real danger the islands face from rising sea waters. It sounds as if Rudiak-Gould values his experience with on Ujae but that he wouldn't be so very quick to sign up for another round, even as he wants to protect this unique place before it is gone forever. Armchair travelers and those who enjoy peeks at other cultures will enjoy reading this one. Would you have left Germany in the years leading up to World War II? It's easy to sit at this historical remove and declare that you would have seen the imminent danger and the toxic, spreading hate and left. But so many people didn't leave. For those with the money and the ability to go, especially the Jews with the money and ability to go, why didn't they? What kept them tied to a Germany becoming increasingly hostile to them? 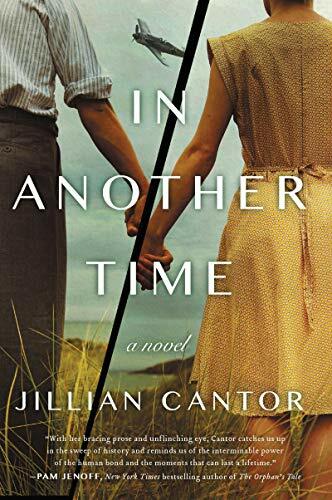 Jillian Cantor's newest novel looks at one young Jewish woman who chose to stay and the young Christian man who loved her and vowed to protect her. In 1931, when bookstore owner Max Beissinger stumbles into the wrong auditorium at the Lyceum, he is transfixed by the magical violin music he hears and the lovely young woman playing it. Despite her horror at his accidental intrusion on her practice session, they eventually come together and fall in love. Their road is not an easy one though. Hanna is a Jew and Max is not. Max disappears for weeks and months at a time with no contact beyond a simple goodbye letter, never telling Hanna where he has been nor inviting her to join him. But they manage to come back together each time something tears them apart, seemingly fated to be with each other, in defiance of the rising anti-Semitism as Hitler gains more and more power. Max begs Hanna to leave Germany as freedom after freedom is curtailed but she refuses, saying that she is a German, Germany is her country too, and as an aspiring concert violinist, she will come to no one's notice. Max worries until he opens a forbidden closet in his bookstore. What's inside convinces him he can keep Hanna safe. When Hanna opens her eyes in a cold field in 1946, she is convinced that she had just been in the bookstore with Max when four SA men broke into the shop. How she got to the field and where Max is are both mysteries. In fact, it's been a decade since that night and she has amnesia. Taken in by a kindly nun and then her older sister who thought she'd died in the Holocaust, Hanna struggles with the missing decade of her life and whatever happened to Max. Her violin is the only thing she has to hold onto and she works towards making a living as a musician even as it strains her relationship with her sister. Healthy in body but with her traumatic amnesia seemingly permanent, she has to bring herself back to life through the music that still lives within her. She will always love Max, searching for him in the memories she cannot access, playing her violin like fire, and finding the passion within her. The novel is told moving back and forth in time between Max and Hanna. Hanna's story only starts in 1946 as she tries to build a new life without knowing her past. Max's chapters start in 1931 and tell the story of the two of them meeting and falling in love as Max tracks Hitler's rise. Nothing that Max tells illuminates Hanna's missing years, leaving the reader as in the dark about her whereabouts during the war as she is. He tells of the years of their pre-war relationship and the reason behind his occasional months long absences that threaten to break them up. But he never tells Hanna why or where he's gone thinking she will never believe him. Their two stories work towards a crescendo of memory, loss, and enduring love in their two different timelines. Cantor knows how to write engaging stories and this is no exception. 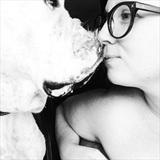 Max and Hanna's relationship is occasionally volatile but their love feels real and strong. The mystery of Hanna's missing ten years and Max's whereabouts underpins almost the entire story and the reader is eager to find out the answers to these two questions as well as whether they can find each other and be together "in another time." 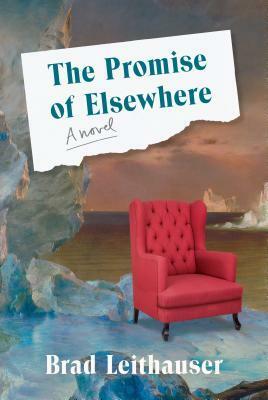 There is a speculative fiction piece to the story that feels out of place in this otherwise captivating novel. This piece is underdeveloped and comes rather out of the blue. It does offer another potential answer to Hanna's missing years but it sits strangely beside the otherwise realistic and emotional story of two lovers facing the coming danger of the Holocaust. Hanna and Max are well drawn and the secondary characters anchor them in time and place. This is a well-written and affecting, very different look at both pre-war Germany and post-war London and Europe and the people whose lives were rent apart by a terrible war. Thanks to LibraryThing Early Reviewers for sending me a copy of this book to review. The Promise of Elsewhere by Brad Leithauser. The book is being released by Knopf on March 26, 2019. The book's jacket copy says: A comic novel about a Midwestern professor who tries to prop up his failing prospects for happiness by setting out on the Journey of a Lifetime. Louie Hake is forty-three and teaches architectural history at a third-rate college in Michigan. His second marriage is collapsing, and he's facing a potentially disastrous medical diagnosis. In an attempt to fend off what has become a soul-crushing existential crisis, he decides to treat himself to a tour of the world's most breathtaking architectural sites. Perhaps not surprisingly, Louie gets waylaid on his very first stop in Rome--ludicrously, spectacularly so--and fails to reach most of his other destinations. He embarks on a doomed romance with a jilted bride celebrating her ruined marriage plans alone in London. And in the Arctic he finds that turf houses and aluminum sheds don't amount to much of an architectural tradition. But it turns out that there's another sort of architecture there: icebergs the size of cathedrals, bobbing beside a strange and wondrous landscape. It soon becomes clear that Louie's grand journey is less about where his wanderings have taken him and more about where his past encounters with romance have not. Whether pursuing his first wife, or his estranged current wife, or the older woman he kissed just once a quarter-century ago, Louie reveals himself to be endearing, deeply touching, wonderfully ridiculous . . . and destined to find love in all the wrong places. I jumped at this book because of the title. I know some people don't like Hemingway. But I fell in love with his The Old Man and the Sea when I first read it in school (junior high? high school?). And I have been fascinated by his complicated, ultimately tragic life ever since. So I might have felt a small stab of disappointment that there's nothing really Hemingway about the book other than the nod to Hemingway's multiple wives in the names of the main characters. But I got over the disappointment as I sank into the story of this messy family, the dysfunction amongst the adult sisters, the tragedy that set them on their respective paths, and the secrets, long buried and of newer province both, that were uncovered in the course of Annie England Noblin's newest novel. Hadley, Pfeiffer, and Martha have all come home to the tiny Missouri Ozark town that they grew up in for the first time in years. They're back for the funeral of their Aunt Bea, the great aunt who stepped into their lives when their mother and youngest sister died in a tornado. Their father having died young of cancer, the sisters' lives were full of tragedy and sorrow. As each grew up in turn, they all moved away from town, never going back to visit, as much their own choice as because Aunt Bea, who hadn't spoken a word since her own girlhood flight from the town, didn't want them to come back. But each of them returns to pay tribute to the woman who stepped up for them and returned to the town she had left so long ago without a second thought. And each of the estranged sisters comes home bearing secrets and baggage she's keeping from her sisters. Oldest sister Hadley is polished and poised, married to a Senator. She's incredibly worried about appearances, an uptight, unhappy cold fish but she's hiding the fact that her less than happy marriage has been over for a long time. Pfeiffer had gone to New York to be a writer but ended up as a successful senior editor, certain of her taste and opinions until she passed on the biggest, most successful book to come out in years, doing so in spectacular fashion and ending up by getting herself fired, something she's not willing to share with her sisters just yet. And Martha, the youngest, shot to fame as a country singer in Nashville, marrying another huge star who took credit for her songwriting. When her marriage failed, assuming she'd be nothing without her talented husband her label dropped her, and she sank into alcoholism. Now she's just out of rehab and trying to rediscover herself. Each of the sisters is at rock bottom and it will only be by relying on each other and old friends who have always cared about them to find a second chance, especially when Aunt Bea's journal surfaces and a secret far older than the sisters is uncovered in their own front yard. The novel rotates among the sisters' perspectives so the reader knows each of the womens' secrets long before her sisters do. This style of narration highlights each sister's frustrations, fears, insecurities, and vulnerabilities very clearly and shows the slow building of trust as the sisters learn to rely on each other and to address the truth and tragedy of their shared past. The resolutions for the sisters are appropriate after all of the healing they faced together and although several of the plot lines, including the reveal surrounding the decades old family secret, are fairly predictable, this is still a likable story of family, resilience, and second chances. Fans of women's fiction and sister stories will gulp this down in no time at all. For more information about Annie England Noblin and the book, like the author on Facebook or follow her on Twitter or Instagram. Check out the book's Goodreads page, follow the rest of the blog tour, or look at the reviews for others' thoughts and opinions on the book. Write what you know. It's the famous writing advice doled out to every aspiring writer there is. And there's a good reason for it but what happens when you don't want to write about what you know anymore, when you're having trouble finding anything in the creative well, and certainly not finding anything anyone else wants to read? 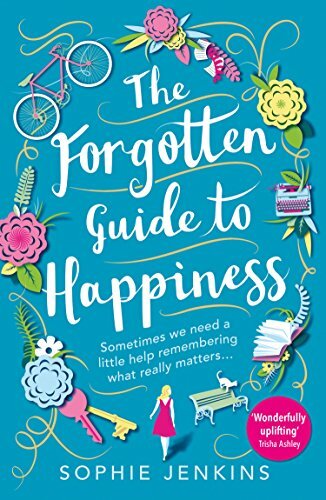 In Sophie Jenkins' novel The Forgotten Guide to Happiness, one of the main characters is facing just this very crisis but life will soon present her with inspiration and understanding from unexpected quarters. Lana Green wrote a breakout novel based on her real life romance with live-in boyfriend Mark. She's under contract for another book in the same vein but she can't write the book her publisher is looking for because Mark has dumped her long distance and she's going to have to give up their once shared apartment, not having the money to continue to live there. Of course she can't write a book with a happy ending right now when her life is falling apart. Then she meets a man named Jack, who claims he's ready to be her next hero. And he is, sort of. Not only will he go on pretend dates with her to help her with her writing inspiration, it turns out that his step-mother, Nancy Ellis Hall, a well known but now retired feminist writer, is in her eighties and suffering from ever worsening dementia so she needs an in home caregiver. Excited about the proximity to such a well known writer, Lana is delighted to move in, help Nancy, and maybe pick up some valuable writing tips at the same time. She doesn't expect to learn about love and friendship too but she certainly does. Readers start off feeling sorry for Lana, who has clearly been completely blindsided and heartbroken by Mark's decision to leave. But Lana, similarly to the protagonist of her thinly veiled autobiographical novel, is rather weak and her wallowing and self-centeredness really starts to grate. She needs to write her own story, both figuratively and literally. Her unhappiness at having to take a job teaching a writing class and her impression of her students is dismissive and unkind, especially given her own writer's block. Thankfully her impressions do change and the writing class people teach her as much as or more than she teaches them. While she is good and understanding with Nancy, she continues to look for ways that Nancy can benefit her, from taking her to the writing class to wow her students to reading Nancy's journals in hopes of a kernel of an idea to write about. She is clearly a flawed and not always likable character but she is consistent until 2/3 of the way through the book when she abandons everything she's learned and becomes a character the reader doesn't even recognize, not just because she makes a dreadfully poor decision, but because this out of character interlude causes the story to sort of fall apart. Once she recognizes her mistake, about six seconds from the end of the book, the entire ending is scanty, rushed, and unearned. Nancy, in all of her quirkiness and with her failing memory, is delightful and step-son Jack is charming and forgiving in a way that makes the reader really root for this beta hero, even if he doesn't believe in love. That's okay though as this is not really a romance. Since the novel is told in the first person by Lana, the reader spends more time with her (and often times frustrated by her) than they do with Nancy and Jack. This short-changes Jack's character in terms of depth but Nancy's was still heart-warmingly fleshed out. Even inhabiting Lana's perspective, sometimes her reasoning for her choices is not always clear or well developed. Despite this maddening lack, it was genuinely nice to watch her interact with the other characters and learn the true meaning of caring for other people, wanting the best for them and for herself, both in love and in friendship. In the end, this is an easy, generally sweet read that didn't quite live up to my expectations. 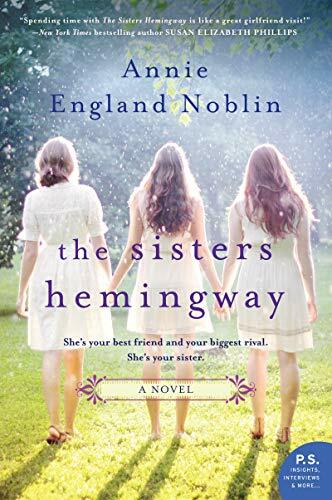 The Sisters Hemingway by Annie England Noblin came from TLC Book Tours and William Morrow for a book tour. 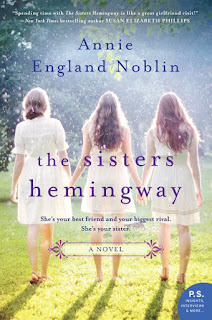 Do I really have to give you a reason why a book with three sisters named after Hemingway's wives would appeal to me? To be fair, stories about sisters just plain appeal to me but add in a nod to Hemingway and you have me hook, line, and sinker. 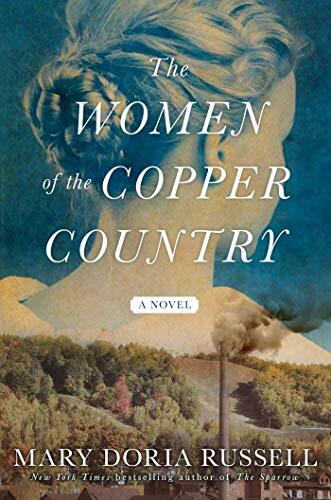 The Women of the Copper Country by Mary Doria Russell came from Atria. Mary Doria Russell. ::swoon:: Upper Peninsula Michigan. ::double swoon:: Historical fiction by Russell and set in the UP, well, of course I will. 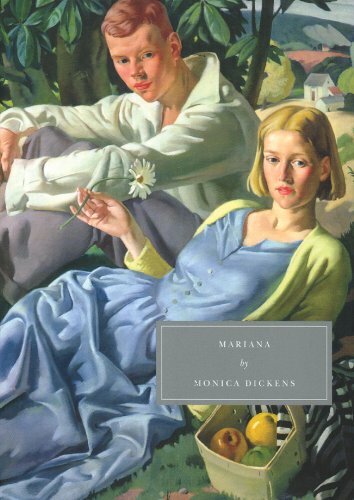 Mariana by Monica Dickens came from a friend for a book exchange. Do you see this cover? Persephone Books does beautiful books and this is one of them. That it's a bildungsroman about a girl growing up in the 1930s is icing on the cake! 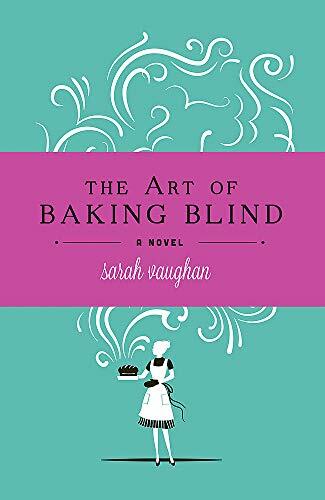 The Art of Baking Blind by Sarah Vaughan came from a friend for a book exchange. This sounds a bit like the book version of The Great British Baking Show and who can resist that? 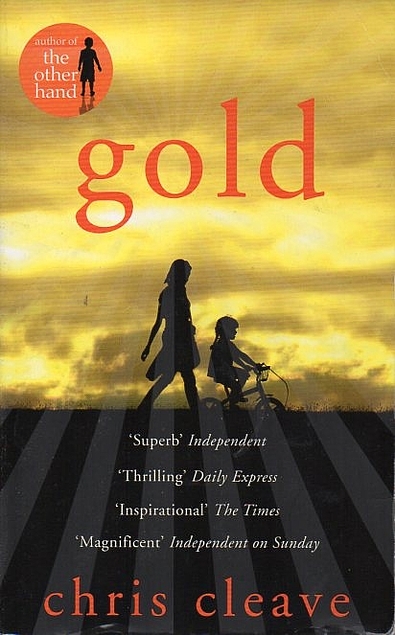 Gold by Chris Cleave came from a friend for a book exchange. Cleave's Little Bee was impressive and I'm looking forward to this one about two Olympians, friends and rivals, going for the gold and the sacrifices each woman has made and will continue to make to win. 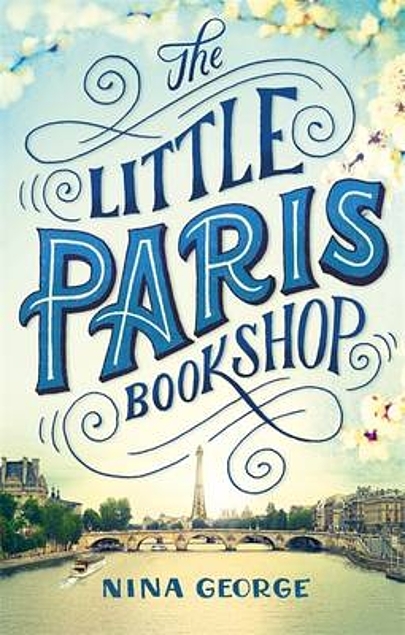 The Little Paris Bookshop by Nina George came from a friend for a book exchange. A book set on a bookshop barge on the Seine with an owner who can prescribe the right book for his readers, unable only to find the book to soothe his own soul, this looks captivating. 100 Dives of a Lifetime by Carrie Miller and Brian Skerry came from TLC Book Tours and National Geographic for a book tour. I adore being under the water and probably wouldn't surface if I didn't have to. But since I still have to breathe air when the scuba tank is empty, a gorgeous book like this can keep me going until I can get back underwater. I feel certain it will add to the places I want to dive someday. 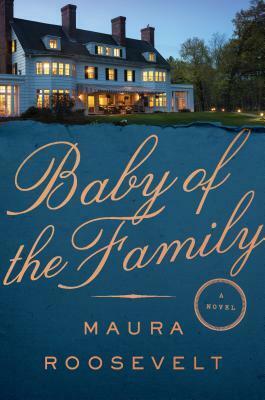 Baby of the Family by Maura Roosevelt. The book is being released by Dutton on March 5, 2019. The book's jacket copy says: The money is old, the problems are new. A wry and addictive debut about a modern-day American dynasty and its unexpected upheaval when the patriarch wills his dwindling fortune to his youngest, adopted son—setting off a chain of events that unearth family secrets and test long-held definitions of love and family. There was a time when the death of a Whitby would have made national news, but when the family patriarch, Roger, dies, he is alone. Word of his death travels from the longtime family lawyer to his clan of children (from four separate marriages) and the news isn't good. Roger has left everything to his twenty-one-year-old son Nick, a Whitby only in name, including the houses currently occupied by Shelley and Brooke—two of Roger’s daughters from different marriages. And Nick is nowhere to be found. Brooke, the oldest of the children, who is unexpectedly pregnant, leads the search for Nick, hoping to convince him to let her keep her Boston home and her fragile composure. 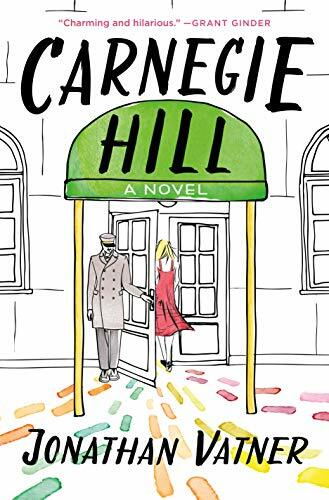 Shelley hasn’t told anyone she’s dropped out of college just months before graduating, and is living in her childhood apartment while working as an amanuensis for a blind architect, with whom she develops a rather complicated relationship. And when Nick, on the run from the law after a misguided and dramatic act of political activism, finally shows up at Shelley’s New York home, worlds officially collide as Nick and the architect's daughter fall in love. Soon, all three siblings are faced with the question they have been running from their whole lives: What do they want their future to look like, if they can finally escape their past? Weaving together multiple perspectives to create a portrait of an American family, and an American dream gone awry, Baby of the Family is a book about family secrets—how they define us, bind us together, and threaten to blow us (and more) apart—as well as an amusing and heartwarming look at the various ways in which a family can be created. 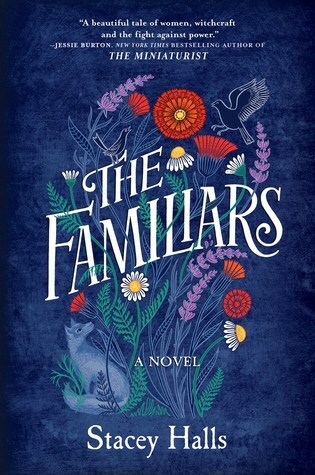 The Familiars by Stacy Halls. The book is being released by MIRA on February 19, 2019. Young Fleetwood Shuttleworth is with child again. As the mistress of Gawthorpe Hall, she is anxious to provide her husband with an heir. But none of her previous pregnancies have come to term. Then she discovers a hidden letter from her physician that warns her husband that she will not survive another pregnancy. Distraught over the frightening revelation, Fleetwood wanders the woods of Pendle Hill, where she meets a young local woman named Alice Gray. A midwife, Alice promises Fleetwood she can help her deliver a healthy baby. But soon Alice is drawn into the frenzied accusations of witchcraft sweeping the countryside. Even the woodland creatures, the “familiars,” are suspected of practicing the dark arts. Can Fleetwood trust that Alice is really who she says she is? As the two women’s lives become intertwined, Fleetwood must risk everything to prove Alice’s innocence in order to save her own unborn child. The hunt for witches reaches fever pitch. Time is running out. The trials are about to begin. Both their lives are at stake. Only they know the truth. Only they can save each other. Set against the Pendle Witch Trials of 1612, this rich and compelling novel draws its characters from historical figures as it explores the lives and rights of seventeenth-century women, ultimately raising the question: Is witch-hunting really just women-hunting? The Long Accomplishment by Rick Moody came from Macmillan. Marriage is hard, even without outside forces having an impact, so I am looking forward to this memoir of a second marriage. Also, Rick Moody is a magnificent writer so I can't wait to see how he handles this very personal story. 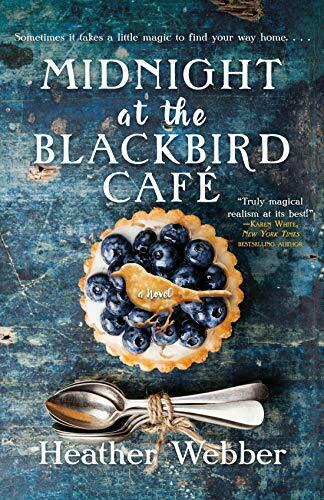 Midnight at the Bluebird Cafe by Heather Webber came from Macmillan. Could you resist this cover? I mean seriously! Also, magical realism, romance, and a small Southern town? Oh yes, please! 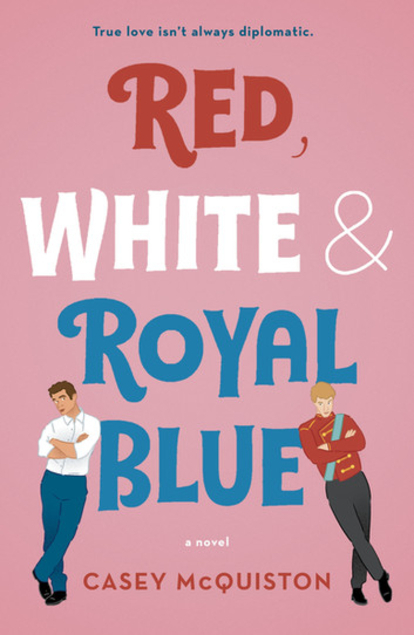 Red, White and Royal Blue by Casey McQuiston came from Macmillan. 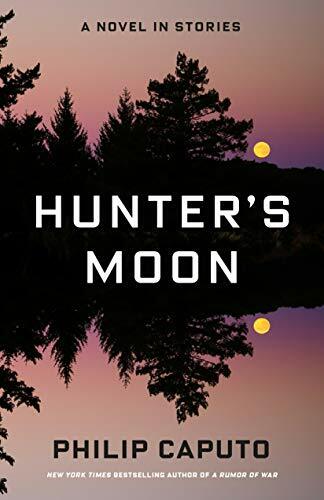 Hunters Moon by Philip Caputo came from Macmillan. I read his A Rumor of War decades ago and liked it so much I was thrilled to see this one coming out. Plus it's a collection of interconnected short stories set in the place of my heart, the Upper Peninsula of Michigan. I can never get enough of the UP in life and in books. 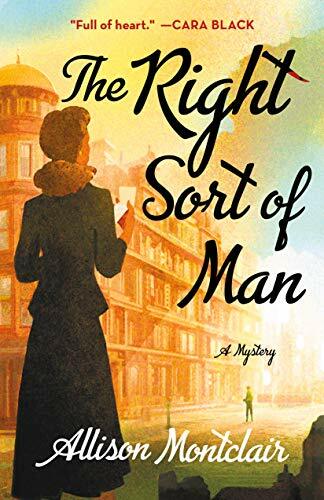 The Right Sort of Man by Allison Montclair came from Macmillan. When two women found a marriage bureau in post WWII London and their first client turns up murdered, a romping sort of mystery must ensue, right? Sounds great to me! In West Mills by De'Shawn Charles Winslow came from Macmillan. 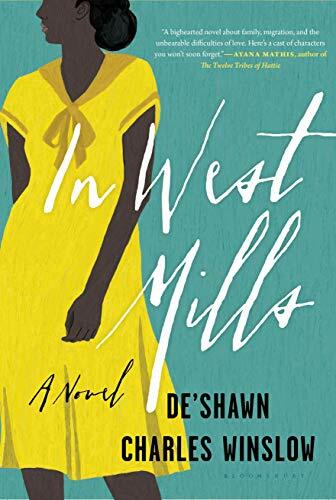 How can you not want to read a book about a woman living life on her own terms but reaching out for a little bit of help from a neighbor in North Carolina in a rural African American community? I am looking forward to this a lot. 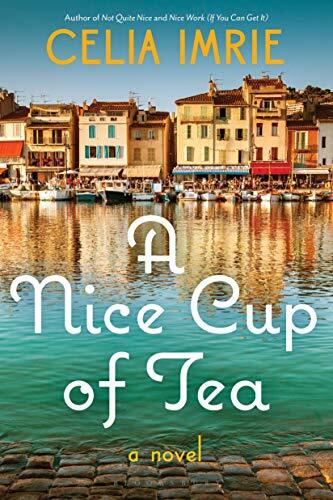 A Nice Cup of Tea by Allison Celia Imrie came from Macmillan. A cozy mystery set in Nice with ex-pats, a restaurant, and family secrets sounds right up my alley. Honestly, We Meant We by Grant Ginder came from Macmillan. When a classics professor's life implodes, she takes her family to a Greek island to try and put them all back together again. This sounds comedic and dramatic both and I can't wait! 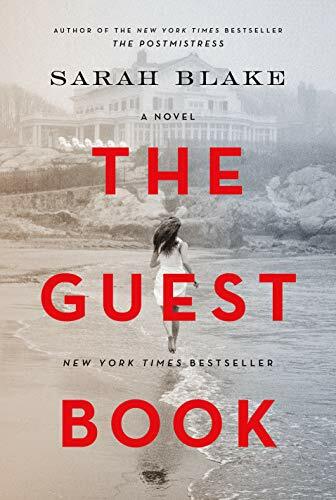 The Guest Book by Sarah Blake came from Macmillan. I thoroughly enjoyed Blake's Grange House so I am looking forward to this one about three generations of a family and their summer home. 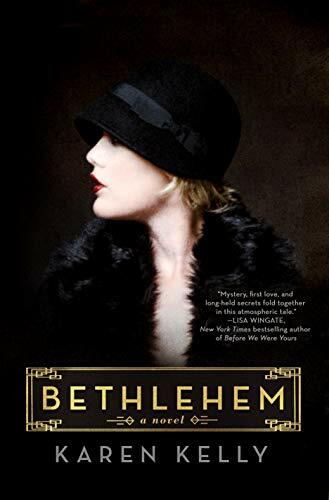 Bethlehem by Karen Kelly came from Macmillan. Look at this gorgeous cover! And that it's a family drama about two families in Bethlehem, PA during the height of the steel industry there makes it practically irresistible. 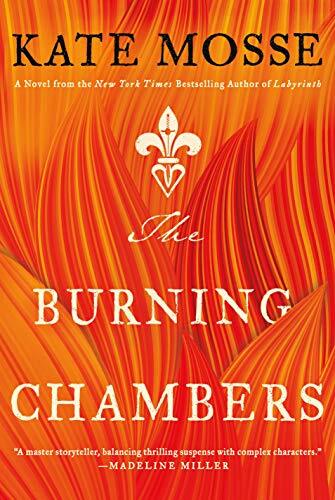 The Burning Chambers by Kate Mosse came from Macmillan. Historical fiction, Huguenots, an anonymous letter, and danger, this should prove completely thrilling. 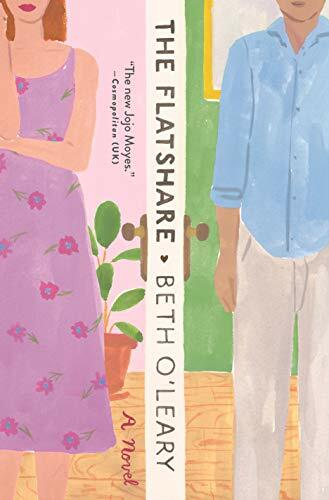 The Flatshare by Beth O'Leary came from Macmillan. With the kooky premise of two people who work opposite schedules and share a flat but who have never met, this is intriguing. 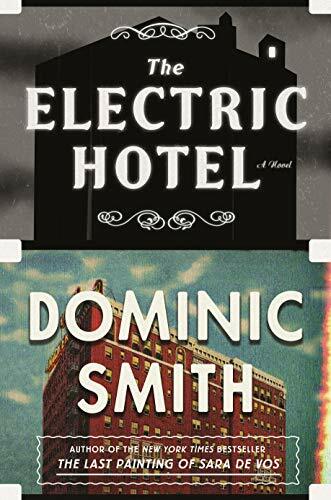 The Electric Hotel by Dominic Smith came from Macmillan. There's something so appealing about historical fiction about the beginning of the film industry, isn't there? Carnegie Hill by Jonathan Vatner came from Macmillan. How much fun to follow a young, wealthy woman who looks to her married, but in crisis, neighbors to help her determine if she should marry her fiance. 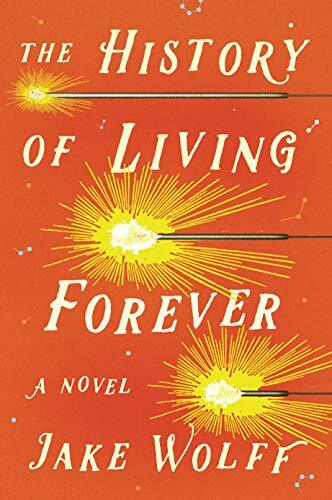 The History of Living Forever by Jake Wolff came from Macmillan. A gifted chemistry student who falls in love with his teacher follows the journals of this teacher to try and find the Elixir of Life in time to cure his terminal father. With such an interesting premise, how can you not be interested? 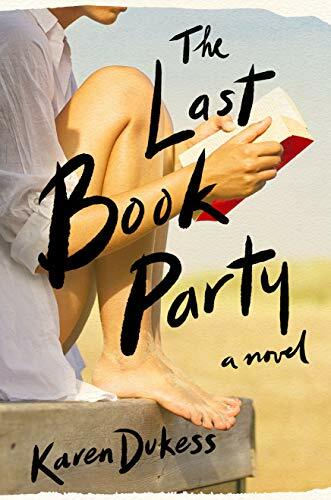 The Last Book Party by Karen Dukess came from Macmillan. I do love books set in the publishing world so this one about a young woman being invited to the book party of the year is guaranteed to captivate me. 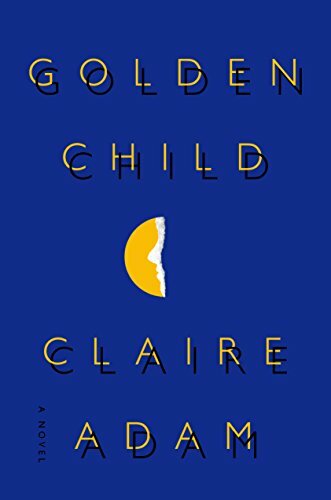 Golden Child by Claire Adam came from TLC Book Tours and SJP for Hogarth for a book tour. I've already reviewed this one here. 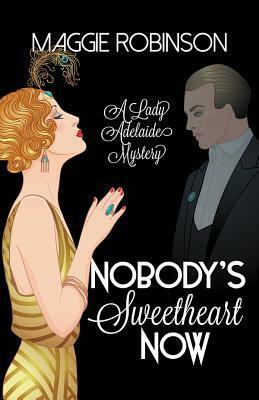 Nobody's Sweetheart Now by Maggie Robinson came from me for myself. I don't usually like ghost stories but I am curious about this 1920s mystery with a ghost helping in the detecting after a murder interrupts his wife's dinner party. 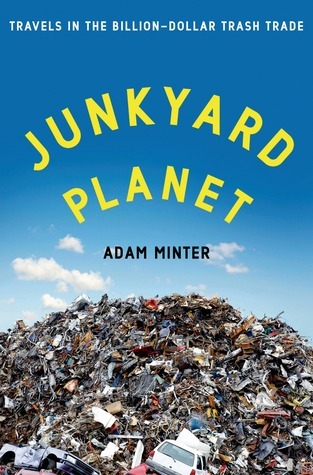 Junkyard Planet by Adam Minter came from me for myself. I'm curious about what happens to our recycling so I'm interested in reading this book about it. 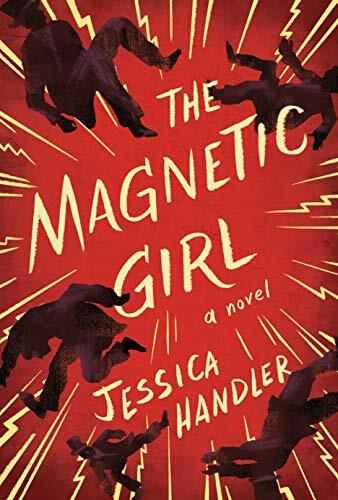 The Magnetic Girl by Jessica Handler came from Hub City Press. About a girl who can control the thoughts of those around her briefly and goes to vaudeville, conducting energy by touch, this sounds unusual and captivating. 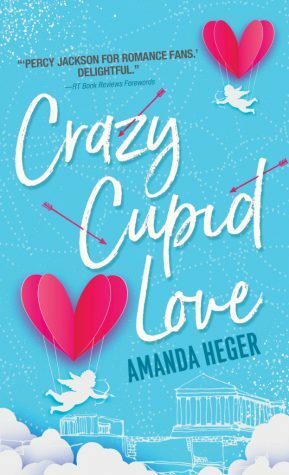 Crazy Cupid Love by Amanda Heger came from me for myself. This romance between a woman descended from Eros and her mentor in the family's Cupid for Hire shop sounds like a fun and kicky read. 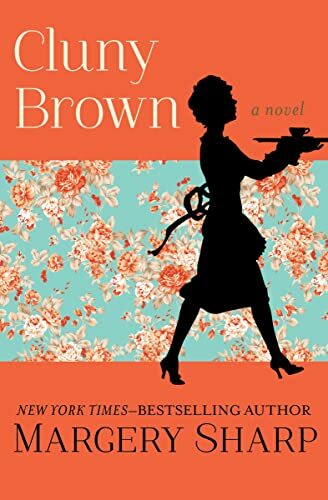 Cluny Brown by Margery Sharp came from me for myself. I've heard wonderful things about Margery Sharp, a sort of forgotten author, who writes about domestic England just before the war and I am very excited to delve into this novel about a maid who doesn't seem to know or care about her place in society. 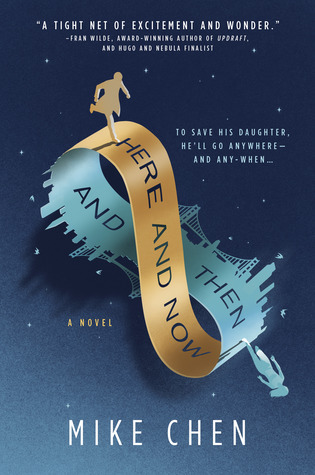 Here and Now and Then by Mike Chen came from me for myself. About a time traveling secret agent who has to break rules and travel through time to save his daughter, this is the sort of sci-fi/fantasy that I am attracted to.